Recently I was out in Gray Ga. 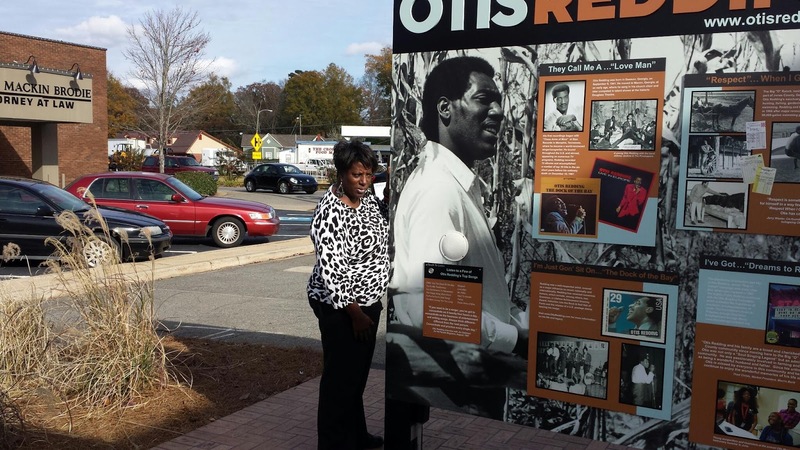 I had heard about a neat display honoring the late great Otis Redding. As I drove into Gray I spotted it. There it stood ,a big nice replica of a vinyl record partially pulled out of a record cover on the front side. The backside featured an intertactive area with a push button that gives visitors the ability to listen to some greatest hits from Mr.Redding. In keeping with my love of all things thrift, wore my thrifted leopard printed sweater and black pants. THANK YOU for reading my blog post..I enjoyed Carla at the recent CWN meeting !